On Saturday last a large party of Officers and other Gentlemen, accompanied by a number of Ladies, proceeded by water to Elizabeth Point, near to South Head, at the invitation of Captain Piper, who gave an elegant fete champêtre on the occasion of laying the foundation of his intended building on that beautiful and commanding point; to which the Gentlemen proceeded in Masonic order. The company took water at the Governor's Wharf, about 12 o'clock, in barges and other boats handsomely decorated; - the full Band of the 46th Regiment leading, with agreeable and appropriate airs. At half past one they landed on Elizabeth Point, when the procession commenced, and the ceremony of laying the foundation stone being performed, an elegant cold collation was presented to the company; which separated at a late hour in the evening. From this the full colour of the day is apparent, the boats bearing Piper's guests and Masonic brethren making their way up the harbour, passing the merchant ship Willerly, commanded by a fellow Mason who fired seven guns as a salute, and the members retiring to a secluded spot upon landing and opening the lodge. The Masonic procession was led by Brother Hetherington as Junior Tyler and closed by Brother Drummond as Senior Tyler. Each of the thirty-two Masons present carried a symbol of Masonry, including the corn, oil and wine that were ceremoniously poured over the foundation stone. The band played Pleyel's "German Hymn", "The Hallelujah Hymn" and "God Save The King". The Bible used at the ceremony is reputed to have been the West Bible on which George Washington was obligated. On Thursday last, the 2d inst. a fête champetre was given by Captain PIPER at Elizabeth Henrietta Point, that name on that day being substituted in the room of Eliza Point, under a discharge of thirteen guns. This fete was attended by a number of the Officers of the French ship l'Uranie, on discovery; the Honorable Commissioner (BIGGE) and Secretary (SCOTT), who were saluted by a discharge of eleven guns on landing; His Honor the LIEUTENANT GOVERNOR, and the, Officers of His Majesty's 48th Regiment, and their Ladies; the Honorable Judges of the Courts; and the greatest part of the Civil and Military Officers of the Establishment. The day proved favourable; and the scene of boats in the water, accompanied by the Band of the 48th Regiment, had a delightful effect. About one hundred Ladies and Gentlemen sat down to dinner; after which, the "merry dance" commenced, which was kept up with great spirit; and on the party leaving Henrietta Villa, they were saluted by a discharge of fifteen guns. On Thursday last, the 9th instant, a large Party of Ladies and Gentlemen were entertained at Point Piper. His Honor Lieutenant Governor ERSKINE, the Honorable the COMMISSIONER of ENQUIRY, the Honorable the JUDGES, and many Strangers; amongst whom were Commodore BILLINGHAUSEN, of the Russian discovery ships, and as many of the Russian Officers as could be spared from duty. Although the day proved stormy with rain, yet the Company escaped the weather favorably, by the Prince Regent schooner assisting in conveying the Party down and up the harbour; the Band of the 48th Regiment playing delightfully from that beautiful residence now called Point Piper, which His EXCELLENCY the GOVERNOR has been pleased to name it in the very handsome grant given to the Proprietor. Sydney Febry. 9th. 1822. Dear Mrs. Piper. My state of health prevents my being able to call on my acquaintances in this Colony to take my leave, I therefore take only the means in my power of assuring you of my good wishes for a long continuance of health, and prosperity to you, Captain Piper and all your family. I have to request your & Captain Pipers acceptance of a Violoncello, which I hope will be found to sound well in your house at Point Piper. - I am Dear Mrs. Piper with much regard Yours sincerely E. H. Macquarie. On Thursday last a very numerous Meeting assembled at Parramatta, to celebrate the Anniversary of the Institution of the Agricultural Society. The President (Mr. Justice FIELD) read an Address to the Society, reporting the proceedings of the past, and anticipating the prospects of the future . . . In the evening upwards of 70 Gentlemen sat down to a most excellent dinnor, at Nash's Inn . . . The conviviality of the evening was kept up to a very late hour by songs from many of the Company, and by Captain PIPER'S band of music; and the Visitors did not depart till after 10 o'clock. On Thursday last, a very numerous Meeting of the Agricultural Society assembled at Parramatta. It being the day of the public fair, the Society's prize cattle and sheep were exhibited, and the premiums adjudged . . . Five and forty Gentlemen sat down in the evening to dinner at Walker's Inn; after which, among other loyal and appropriate toasts, the health of Mr. Buxton, who has accepted the office of Parliamentary Protector of the Society, was drank with 3-times-3. Captain Piper kindly brought his Band, and the night was spent in social harmony. Thus concluded perhaps the most useful and interesting Meeting the Society has yet held.
. . . Captn. Piper is the Naval Officer here . . . He lives in a handsome house just after you enter Port Jackson . . . there is nothing like it in the Colony. He laid out immense sums upon the place and making roads to it - and no expence whatever has been spared, I am told, to ornament this Fairy Palace. He keeps an immense establishment - they say he has upwards of a hundred men employed about him. He does things properly - for he sends carriages and four and boats for those who like the water, and returns his guests to their homes in  the same manner. He keeps a band of Music and they have quadrilles every evening under the spacious verandas that surround the house. At the table there is a vast profusion of every luxury that the four quarters of the globe can supply, for your must know that this fifth or pickpocket quarter contributes nothing of itself. I was invited but declined. There is no honor in dining with Piper, for he invites everybody that comes her indiscriminately . . . The Ball and Supper, given by Sir JOHN JAMISON on the evening of Thursday last, was of the most fascinating and splendid description. The ball-room was fancifully fitted-up for the occasion. The Company flocked in from 8 to 9: the carriages were rolling rapidly down our streets between those hours. Captain PIPER, with his usual zeal in these cases, had his own Band in attendance upon the noble Host. Dancing, consisting of country dances, quadrilles, and Spanish waltzes, presently commenced, and was maintained with the utmost animation till midnight, when the Guests were ushered in to the supper-room, which was entitled to the palm for superior taste in the disposition of the various arrangements that were most happily executed . . . About one in the morning, the ball-room was re-invested by this concentration of beauty, rank, and fashion; from whence a final retreat did not take place till Sol began to eclipse the twinkling orbs of night, and thus remind the gallant remnant it was time to retire in quest of that transient repose which the imposing scene was calculated to obstruct. Among the personages present, were distinguished His HONOR the CHIEF JUSTICE, and LADY; Captain COE, H. M. S. Tees, and LADY; His Honor the late JUDGE ADVOCATE, LADY, and two Miss WYLDES; the ATTORNEY GENERAL; the SURVEYOR GENERAL; the COLONIAL TREASURER, and LADY, and the interesting Mrs. ABELL; the NAVAL OFFICER, LADY, and Mr. PIPER, jun. ; A. K. McKENZIE, Esq., LADY, and two Miss McKENZIES; the COMMISSIONER of REQUESTS, and FAMILY; the COMMISSARIAT OFFICERS and their LADIES; JOHN BLAXLAND, Esq. LADY, and FAMILY; WILLIAM COX, Esq. and LADY, of Clarendon; WILLIAM COX, jun. Esq. and LADY, of Hornbill; Capt. and Miss BRABYN; RICHARD BROOKS, Esq. and the two Miss BROOKS, of Denham Court; A. BELL, Esq., LADY, and two Miss BELLS, of Richmond; JAMES NORTON, Esq. and LADY; &c. &c. &c. The whole of the Officers of the three Regiments, now doing duty in Garrison; Major BATES, Royal Artillery; as well as the Officers of H. M. ship Tees, were among the happy group of FASHIONABLES that were invited from all parts of the country to this elegant banquet. POINT PIPER. - Saturday evening the worthy Proprietor of this enviable retreat entertained a select Party to Dinner, which did not break up till near midnight, when the GUESTS took leave of their kind HOST and HOSTESS with the customary demonstrations of unbounded and sincere esteem. MR. EDITOR, The Ladies are very angry that you have not noticed the splendid entertainment at Ultimo-House, on the 1st ultimo; and by the Bachelors immediately after, at Mr. Lord's to Captain and Mrs. COE, and the Officers of His Majesty's ship Tees, on their quitting this station for India . . . among the Gentlemen were remarked, the Chief Justice, Colonial Secretary, Sir John Jamison, the Attorney General, Colonial Treasurer, Surveyor General, Commissioner of the Court of Requests, and Naval Officer; many of the Magistrates; Colonel Balfour; the Officers of the Buffs, the 40th, and 48th Regiments; the Commissariat Officers; the Medical Gentlemen; Solicitors; Commanders of Vessels in Port, and Strangers lately arrived. The "merry dance" opened by Sir John Jamison and Mrs. Coe, and was kept up 'till morn, by the kind aid of Captain Piper's band. At supper about 240 sat down to tables, at three several periods . . .
We have just heard that Mr. and Mrs. Mackenzie, of the Bank Buildings, entertained yesterday evening a splendid Partie, consisting of all the BEAUTY and FASHION of the capital. Amongst the Company present were Chief Justice Forbes and Lady; the Colonial Treasurer, Lady, and Family; Mrs. Abel; the Solicitor General, Lady, and Family; the Master in Chancery; the Naval Officer, Lady, and Family; Lieut Col. Balfour and Lady; Lieut. Col. Thornton, and the Officers of the 40th; Brigade Major Ovens; Capt. Allman, Lady and Family; the Officers of the 3d and 48th Regiments; Capt. Mitchell, H. M.S. Slaney, the Sheriff; the Registrar; the Commissioner of the Court of Requests and Family, etc. The supper table groaned beneath the varied elegancies that this enviable season of the year is known to afford. The wines were of the most delicious flavour. During the night Captain Piper's much improved band gave increasing animation to the "light fantastic toe". The Company were so highly delighted with the attention of their respected Host and Hostess, that many of them found it difficult to stammer out "Adieu!" before blushing Aurora announced it was time to retreat. Pursuant to the Resolution, on that head, of the Sydney Turf Club, the Ball and Supper were given on Tuesday evening, at the music rooms of Mr. Campbell, in George-street. Dancing commenced about nine o'clock, and continued till midnight; when the illustrious "Partie" were ushered into the supper-rooms, which exhibited a superbly gratifying spectacle. About half-past one the ball-room was re-occupied, and not deserted till nearly four yesterday morning. The rooms were most tastefully and splendidly decorated, and the supper so excellently served up as to afford the highest satisfaction. The carriage of our universally esteemed Naval Officer was actively and gallantly engaged in safely conducting the Ladies from the festive scene; which business over, the Gentlemen still in attendance resolved on giving Captain Piper three cheers, on his departure for Point Piper. His Excellency the Governor was present the greater part of the night, and entered into the spirit of "the times" with all that affability of disposition for which he is so eminently characterised. The 40th and Captain Piper's Band composed the orchestra. [Dinner at Henrietta Villa] Captain Piper has a large family. We were served an English dinner and a very sumptuous one at that. An abundance of wine was served as soon as were sat down, but we were given small portions of food. The coffee was dreadful, but the music was excellent. A number of toasts were proposed . . . Then there was a family dance; I did my best out of politeness, and in the end I enjoyed myself . . . At 9.30 we returned to the ship in my skiff . . .
[September 1825] . . . Le bon capitaine Piper ne se montra pasle moins empressé, comme on pense bien, et sa musique et sa petite artillerie nous saluèrent au passage, ainsi qu'elles l'avaient fait le jour de notre arrivée. J'y répondis cette fois par le canon de la frégate, et de la terre comme de nos vaisseaux, s'échangèrent trois houras qui firent bruyamment vibrer les échos de Rose-Bay. This Entertainment took place on Wednesday evening last, at Hill's Rooms, Hyde Park, under the management, we believe, of Colonel MILLS and Mr. MACKENZIE. - The few Ladies at this time in Town, and the Races occurring so soon after the Ball given to Baron De BOUGAINVILLE, and the french Officers, it was doubted whether such an assemblage of Ladies could be collected as to make the Ball in the least fascinating, and it was not till Monday last that the invitations were sent out, consequently there was no time to invite the up-country folks; and His EXCELLENCY the GOVERNOR, Lady BRISBANE, and Miss MACDOUGALL, could not attend, owing to the recent calamity in the Family. - Notwithstanding these difficulties (and the Club wishing the Ball to be kept as originally intended), we are enabled to sat, that there was a most abundant dsiplay of Beauty and Fashion, without the least crowd or confusion; there was about 60 persons present; one-third of whom were Ladies; one-third Military Officers; and the residue Civilians. - The Dancing commenced at 9 o'clock; after Supper at 12; after which Dancing was resumed, and kept up till day-light. The band of the 40th, assisted by Captain PIPER's Band, played most enchantingly during the evening. On Monday evening last Captain Peache, of the Harvey, entertained a Party of his Friends, in number about thirty, on board his ship. At half past 6 o'clock the Company began to assemble, and were ushered into a saloon formed on the poop of the vessel. The scene presented a beautiful arbour, interspersed with the flags of Nations; at one end appeared a transparent figure of Neptune, with his trident, bearing the motto "ADVANCE AUSTRALIA," and a transparent figure of Commerce, Our Gracious Sovereign appeared in the other end of the apartment. At seven o'clock the Party was summoned to a dinner, of plenty and variety. The room was tastefully decorated with wreaths of native flowers, and presented an appearance and a reality of comfort unrivalled. The laugh, the jest, and merriment, kept pace with the hour of dinner. A handsome chandelier illumined the apartment. After the cloth was removed, the Gentlemen retired to the saloon to a dessert, at once rich, rare, and excellent. The place had been lighted up, during absence at dinner, with several transparent lamps and the chandelier was drawn up from below, to give additional light and effect to the scene. The table was adorned with a variety of insignia, crowns, flags, and sceptres. Several loyal, patriotic, and Colonial toasts were given. "The King, and other Members of the Royal Family," "Sir Thomas Brisbane"; "Prosperity to New South Wales," &c. &c. followed by appropriate airs from the Band of our esteemed and Worthy Naval Officer. After several toasts had been given, Neptune, from the deep, addressed the ship, demanding the name of the Commander. He was answered by the name, of "Daniel Peache." "Desire him," said the god, "to drink ADVVANCE AUSTRALIA." This had an excellent effect, and was drank with enthusiasm. Several good songs were given in admirable style. At 12 o'clock a succession of fire-works commenced, and was continued for two hours. Among the Company present were noticed, Captain Piper, Dr. Douglass, Mr. McVitie, Mr. Brown, Mr. Garling, Mr. McCormac, and several others. Harmony was universal; every countenance wore not only the semblance, but the test of satisfaction; and the Party dispersed, at a late hour, with every demonstration of hilarity and pleasure. Clarendon, near Windsor, the hospitable mansion of Captain Cox, has been the scene of gaiety and festivity, during the past week; three of the infant grandchildren of the worthy proprietor were to be admitted within the pale of the church of England; and a numerous party were congregated together on the occasion. Captain Piper's Scottish band arrived from Sydney in order to enliven the scene, and add another species of harmony to the other hilarities of the scene. On Saturday. last SIR JAMES BRISBANE, LADY BRISBANE and Family visited Point Piper, with which they were highly delighted, and returned to Town in the Evening. Sir James was received by Captain Piper's Boat's Crew drawn up on each side of the flight of steps at the entrance door, the centre man on each side waving in his hand a stand of Colours, and the Band playing "Hearts of Oak." CAPTAIN PIPER. The circumstances attendant upon the removal of office upon this Gentleman, are singular and afflicting. He was aware, for some days before the Deficit in his accounts became known, that such existed. The amount was between twelve and thirteen thousand pounds. Had he communicated the fact to his friends, the money would have been, without difficulty, advanced for him. Mr. Wentworth would not have hesitated to have paid it instantly, but Captain Piper withheld from every one the state of his accounts. On the morning preceding the day when he was to settle them, he invited a few intimate friends to dinner at his beautiful seat, about five miles from Sydney down the harbour. In the evening he ordered his boat, stating that he was obliged to be absent for a short time upon some matter of public duty connected with the Light-house. He ordered his band of music to accompany him. There was a very strong breeze, and he carried and he carried his boat under sail between the Heads, where, while she was going with much velocity through the water, he suddenly threw himself overboard! One of the men instantly jumped after him, and succeeded in keeping him above water until the boat was pulled round, and the men drew them both on board, Captain Piper senseless, and the brave fellow who had thus nearly sacrificed his own life to save that of his master, nearly exhausted. They returned home immediately, and the scene which ensued when the above circumstances were made known to his afflicted, large, and interesting family, can better conceived than described. Previous to his departure in the boat in the boat, he had dispatched a letter to Mr. Balcombe, the Colonial Treasurer, which evidently shewed the inward perturbation, of his mind, if not the disordered state of his intellect. He therein communicated the defalcation which existed in his accounts, and his determination to destroy himself; but he added, that he had taken effectual means to prevent his mortal remains being subjected to exposure before a Coroner's in quest - evidently alluding to the means of death on which he had determined. Ten thousand pounds of the deficit have been paid, and it is understood that the remainder will be forthcoming without delay, and that a large property will yet remain. This event has been witnessed by the whole Australian Public with the deepest regret, for no man was more generally beloved, by all classes, than the unfortunate, but generous Captain Piper. BY MR. PAUL, At Point Piper, on Monday the 4th of June, and following days, ALL THE GENUINE ELEGANT FURNITURE and other valuable effects . . . a fine tone cabinet piano . . .
VERSES Written by a Lady in passing through the house of Point Piper, after the retirement of Captain Piper from that seat of hospitality. As if that soul was fled. Now feel that pulse no more. And dreary is the choice. Exclaim - "may he for ever live." AT MR. BODENHAM'S; TO BE RAFFLED FOR - A MOST CELEBRATED Piano Forte, well, known to the Fashionable World, at Point Piper, forty chances, at two pounds sterling each; chance money to be paid before throwing. One respectable person to throw for absentees. CAPTAIN PIPER, the promoter of harmony and good fellowship whereever he goes, is at last firmly fixed on his estate at Bathurst. His bugles, which accompanied the last waggon of furniture, struck up as they were passing the Blue Mountains, the lively tune of "Over the hills and far away," to the great delight of the drivers of all the carts and drays they met with on the road. "The Bathurst Hunt" will now we think no longer languish. "CAPTAIN PIPER'S old fiddler Billy, shipped himself as cook, on board the Ephemina; but on Mr. Cublit mustering the crew at the Heads as usual, he found poor Billy's certificate of freedom did not bear the signature of Mr. Healy. 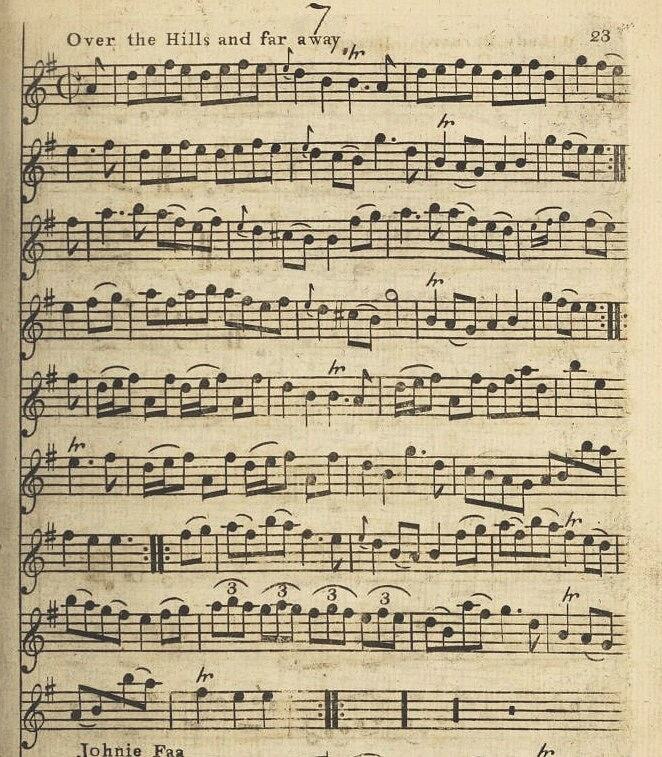 Billy was in consequence put back in the, guard-boat, to the great mortification of the ship's company, who had provided him with a violin, in the hope of having some music during the ensuing Christmas." - Thus saith an intelligent Correspondent . . .
A severe winter (writes our Bathurst Correspondent) has set in. There is not a fire place in the gaol here, and the extreme dampness is horrid . . .
From this gloomy picture our Correspondent turns to observe upon certain festivities with which the Bathurst gentry have bean attempting pour passer le tems the more jocundly. That retired veteran from the Police Bench at Parramatta, Dr. Harris, observes he, appeared at the seat of Mr. Icely, on the 26th ult. The old gentleman looks well - his Mountain rides agree well with him. On the following Tuesday government-house was in a bustle, from the vast preparations a going on therein for a ball and supper, "a propos" to welcome the venerable Doctor. On that eventing all the "beauty and. fashion" of the county of Roxburgh graced the mansion, and the enlivening band of the worthy Captain Piper kept them on the light fantastic toe, till the morning sun had nearly fired the eastern plains . . .
We are sorry to announce, that the lady of a noted cheese vender put out her ancle while tripping it down a country dance. Extract of a letter from Bathurst, dated 28th April: - "Ever since Monday, Buthurst has been gay. On Tuesday Captain Piper entertained a very large party to dinner - in the evening dancing. The bridegroom and bride elect (Mr. and Mrs. W. H. Mackenzie), were present. Wednesday was the wedding-day, and a procession of eight carriages set out from Blackdown to the church. At 11 o'clock the ceremony took place, and the carriages returned in the same order to Blackdown. On the road side, near the Parsonage, Captain Piper's musicians began a merry air, with colours flying, drums beating and greeting the bride and bridegroom with a salute of nine guns, as they drove past. 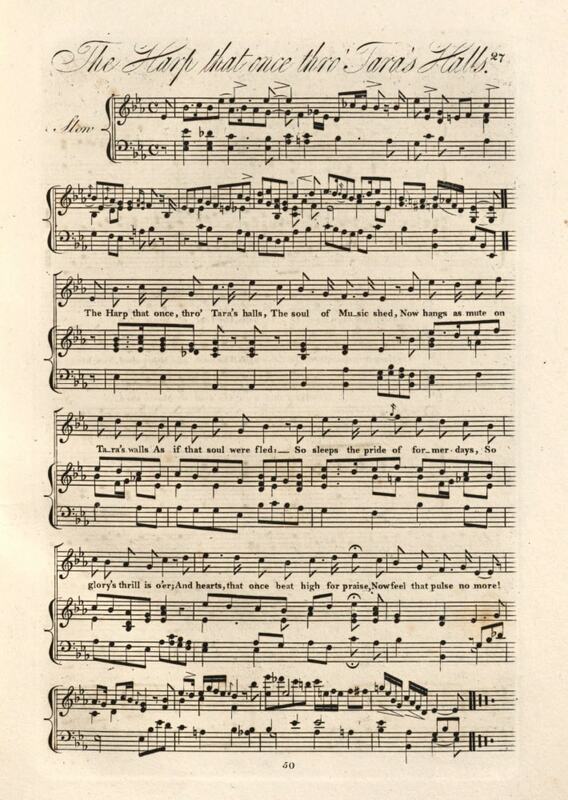 At 5 o'clock, a party of thirty-six sat down to an elegant dinner, under the Captain's tent, placed near to the house at Blackdown (Mr. Hawkins, J. P.), about 8 o'clock dancing commenced, and was kept up until a lute hour. The bridle and bridegroom went off for Milbank (Mr. McKenzie, sen.) under the cheers of very nearly FOUR GENERATIONS. Thursday the party dined at Milbank, and Friday at Dochain (Mr. T. Raine's), thirty-eight in number, and danced until a late, or rather an early hour. All the beauty and fashion for 40 miles round were there."
. . . William Webb - I am a shoemaker by trade, and reside near Alloway Bank, the estate of Captain Piper, by whom I was occasionally employed as a musician; as a shoemaker I work for my own advantage; I know the prisoner at the bar; he is an assigned servant to Captain Piper; I remember the shoes now produced; I repaired them for the prisoner Grey; they did not appear to be made for him; they were of a small size, like those of a woman; remember having seen them on the prisoner Grey on the Sunday morning previous to the robbery . . .
DEAD SHOT . . . The Wandering Boys of Switzerland . . .
A SOLO ON THE KENT BUGLE. 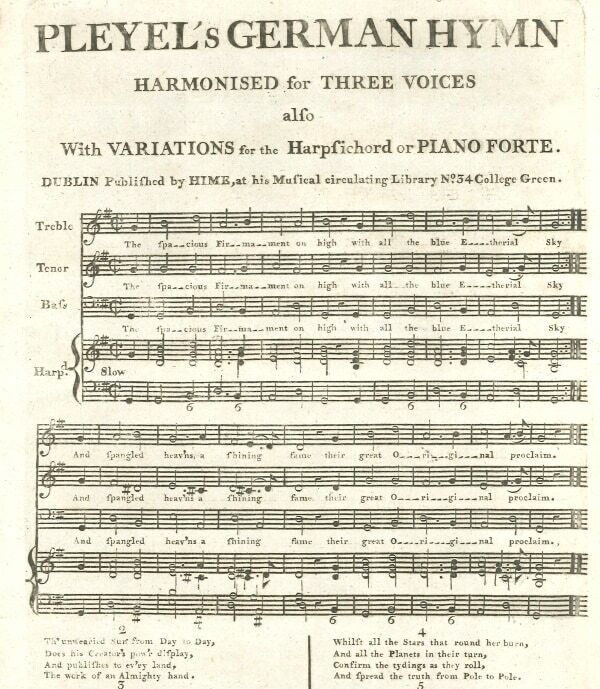 An ADMIRED SONG by MRS. TAYLOR. THE IRISH TUTOR . . .
who will introduce "St. Patrick was a Gentleman" . . .
On Monday evening an unusually crowded audience assembled to witness the performance, and to welcome the return of Captain Piper to town, who, agreeably to advertisement, honoured the theatre with his presence on that night. 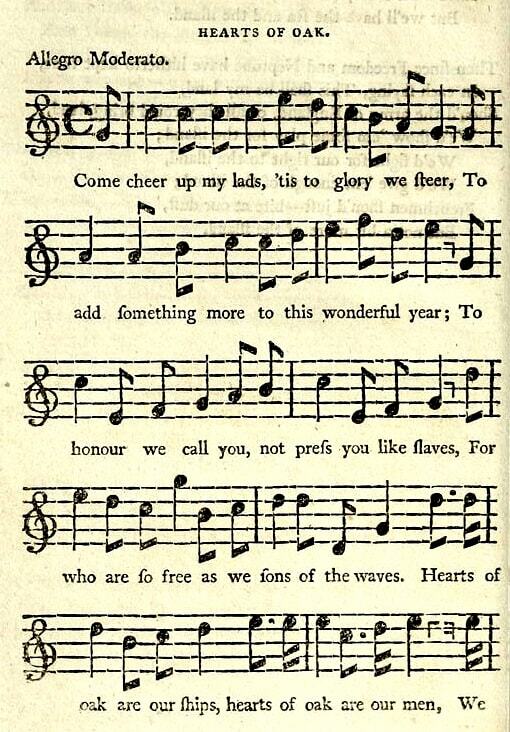 The worthy Captain, whoso general hospitality, and liberal patronage of every thing in times gone by that tended to "advance Australia," entitle him to the flattering appellation of the Maecenas of this rapidly rising, though infant Empire of the South, was greeted on his entrance into the house with the most enthusiastic cheering - thereby proving that, although the gallant gentleman has ceased to live in the capital of the colony for the last eight or nine years, his many acts of public benefit and of private benevolence are gratefully cherished in the remembrance of the "old hands" of Sydney. 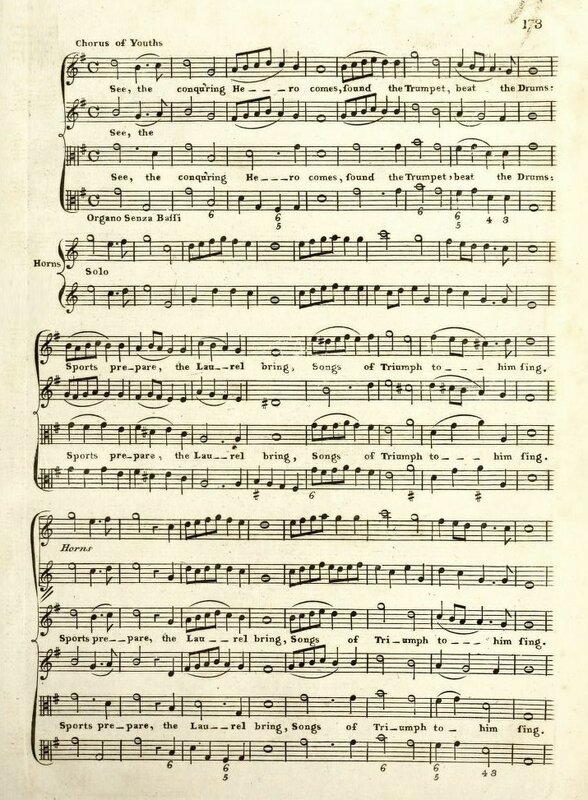 The orchestra struck up "See the conquering Hero comes;" and Captain Piper, in the fullness of heart occasioned, no doubt, by the cordial welcome he met from his fellow-colonists, shortly addressed the audience, thanking them for the feeling of kindness they had manifested towards him, and assuring them that it should remain indelibly impressed on his mind to the latest moment of his existence. The performance commenced with a small interlude in one act called the Dead Shot, in which Mrs. Taylor, in the character of Louisa Lovetrick, shone conspicuously. Her personifications of the termagant and romp were admirable, and commanded the frequent plaudits of the audience. Simmons's exertions, also, as Mr. Hector Timid, were favourably received, as were likewise Mr. Mackay's Frederick, and Mr. Groves's Captain Cannon. The orchestra, as usual, made a sad bungle on this occasion: when the period had arrived for Mrs. Taylor's introducing the "Sale of loves," Mr. Cavendish was not to he found, and the Pianoforte was therefore silent. Mrs. T. kept walking up and down by the foot lights for several minutes, beseeching one or other of our crack violin players to accompany her, but all in vain. Mr. Clarke's fiddle was mute, and Mr. Spyers's bow had, as we suppose, been soaped by some mischievous wight, "for the deuce a bow would either of them draw." Mrs. T. and the audience had just given up all hopes of the song, when Mr. Cavendish entered the orchestra in breathless haste, and made good the deficiency his absence had occasioned . . .
. . . Mr. Stubbs's solo on the bugle was admirably executed, and rapturously received. The matrimonial duet by Mrs. Taylor and Mr. Simmons, was loudly encored; and Mrs. T. afterwards sang, "Oh leave those gay and festive scenes," with admirable effect . . .
On Monday evening last was repeated the laughable entertainmmt of a "Dead Shot," performed by desire of Captain Piper, who seemed highly pleased, and looking, we are happy to say, in excellent health and spirits; he was repeatedly and enthusiastically cheered during the night, which he acknowledged by bowing to the audience from time to time, as the ebullitions of popular respect broke forth . . .
. . . Mrs. Taylor, as Louisa Lovesick, looked lovely, and acted charmingly. Her song of the Light Guitar, was a perfect trial . . . The orchestra appears to be either so very good or so very bad, that no change can possibly be made in it, for the worse. The selection of pieces, though perhaps very scientific, are not calculated to please generally, and there should be some attention paid to even the ears of the Gods. On Friday, the 2nd instant, a numerous body of the inhabitants formed a procession, and proceeded on the Sydney Road, to meet and congratulate his Lordship on his arrival in this part of his diocese; but his Lordship did not arrive at the parsonage till the next morning (Saturday), on which day he consecrated the Episcopal Church. The ceremony was very imposing and solemn . . .
. . . . After a laborious and fatiguing day his Lordship dined, by invitation of the inhabitants, at Dillon's hotel; at this dinner, got up in an elegant style, which would have done credit to any of the first London hotels, forty of the most respectable inhabitants and visitors sat down to a sumptuous and splendid entertainment, A. K. Mackenzie, Esq., J. P. in the chair; supported on his right by the Lord Bishop, and on his left by Major General Stewart; John Street, Esq., J.P., deputy chairman; Thomas Icely, Esq., J. P., Arthur Kemmis, Esq., J. P., Mr. Wall, and Mr. Aspinall, stewards. At this dinner, uniting all the respectable inhabitants of the district, the utmost harmony and good will prevailed; and after the cloth was removed the chairman went round with a regular course of appropriate toasts . . .
. . . Captain Piper's band was kindly in attendance at the dinner, but the company present thought it as well not to play.
. . . Several of the more respectable wool-growing settlers in the Bathurst district can afford to run carriages or curricles of their own; but the expense of maintaining an equipage in New South Wales is much less than in England. This of course gives the plains rather a brilliant appearance - very different I apprehend from that of most of the back-settlements of Upper Canada; and the cottages of some of the settlers (for such is the general style of building in the interior) would do credit to some of the more tasteful suburbs of the British metropolis. I was particularly struck with the admirable taste and even elegance displayed in the cottage and grounds of Captain Piper, a Scotch gentleman from Ayrshire, well-known in the colony, who has resided with his large family for several years past in the Australian Highlands. Captain Piper's cottage is situated on a gentle eminence to the eastward of the plains, over which it commands an extensive and highly interesting view; the prospect in front being bounded in the distance by a range of hills of moderate elevation in the western interior: indeed I do not know, that "the banks an' braes o' bonnie Doun," the well-known classical locality in the west of Scotland, so beautifully celebrated in the Doric dialect of Ayrshire by the poet Burns, can exhibit features more interesting or more beautiful than those of the Australian locality which Captain Piper has named after it [Alloway Bank] to keep it in remembrance. I spent an afternoon at Captain Piper's during my visit to Bathurst, and I was much gratified to find that the evening oblation was offered up with all due solemnity, in the midst of a numerous family circle, on the going down of the sun. Shortly afterwards, when we were just about taking leave, to pursue our course across the plains to our head-quarters in the clear moonlight, a musical band, consisting entirely of a few of the farm-servants, who had each learned to play on some musical instrument, struck up a lively Scottish air under the verandah, which, I confess, was, on my own part at least, equally unexpected and animating . . .
Cockburn James, Lady Kennaway, 26, Yorkshire, soldier, tailor, and musician, 5 feet 7 1/4 inches, ruddy and freckled comp., brown hair, grey to blue eyes, lost canine tooth leff side upper jaw, D under left arm, from J. Piper, Bathurst, since 8th February, 1840.
three times round the Course, nine leapes. Mr. J. Piper jun., g. g. Jim Crow - 2 . . .
Mr. J. Piper's b. g. Lushington - 3 4 0 . . . The same evening a subscription ball took place at Mr. Dillon's Inn, given by the gentlemen of Bathurst and its vicinity, at which all the elite of thedistrict were present; quadrilles commenced at nine o'clock, the rooms were elegantly decorated; Captain Piper's band was in attendance, and surpassed even its accustomed good style of performance. At one o'clock the company retired to partake of a splendid supper, which was elegantly laid out, and consisted of all the delicacies of the season. After supper, dancing was resumed with great spirit, and kept up until the dawn of day, when the company separated, highly delighted with the evening's amusements. On Sunday night, a man named Webb died rather suddenly at Kelso, in a small cottage near Mr. McCrea's. He had been unwell, having been afflicted with dropsy and consumption; on the previous day he was better than he had been for some time, and was in Bathurst to unship the previous day; during that night he became worse, and continued be until midnight on Sunday, when he expired. The deceased was a shoemaker by trade, had been a soldier, and for many years a member of Captain Piper's band. There are many sorts of balls all of which have a strange, and in many instances, a startling significance. To the latter class belong musket and cannon balls - bodies, which like all other globes, are distinguished by their erratic habits. It is supposed to be dangerous to have anything to do with these balls while they are in motion. Pawn-broker's balls are not made of gold, being only wood covered with size and gold leaf. They are generally placed over the door, and denote that the affectionate "Uncle" who lives inside, has a heart which seems at first sight to be pure gold, but upon further examination turns out to be nothing but gilded rottenness. They also mean - two to one if your coat goes in it will never come out. Another kind of balls, called Polka and Quadrille balls, are very much in fashion with young ladies. These balls are famous things for lovers, who, are enabled to waltz at them in such a style and to such an extent as to lead to the conclusion that they are very fond of hugging. Lastly, there are such things as publican's balls, of which many people in Bathurst are very fond. These balls produce a most remarkable effect upon the generous and loyal feelings of human nature, causing those who take three or four of them at night to repair to the Police Office next morning for the purpose of assisting the Government by a donation to the Exchequer. On Sunday last the late Captain Piper breathed his last at his residence, Westbourne. The cause of his death was a gradual decay of the system, which had shown symptoms of approaching dissolution for some months past, not however very decided until within the last month, when it became evident that his connection with this world must be of short duration. On Thursday his remains were accompanied to their final resting place - the new Presbyterian burial grounds - by the members of his family and an extensive circle of friends. As Captain Piper was universally known, and previous to his death, one of the oldest surviving colonists, the following brief notice of his career may not prove unacceptable. He arrived in the colony in the year 1792, as a Subaltern in the 102 Regiment or New South Wales corps. In 1803 he was appointed Commandant of Norfolk Island, which situation he held six years, at the expiration of which he was ordered to England and was stationed at Winchester on the recruiting service four years, during which the second American war was raging. Through the interest of his Grace the Duke of York he was appointed in 1813 Collector of Customs, and Post Officer of Port Jackson, and was thus occupied until 1827, when he retired from the public service and proceeded to Bathurst, of which district he has since been a resident. Captain Piper was a brother officer of the late Wm. Lawson Esq., of Veteran Hall, as also of George Cox Esq., of Mulgoa. His kindness of heart and unbounded hospitality to all classes endeared him to many, amongst whom he will long be remembered as a faithful type of the old English gentleman. In the will of Anne Christiana Frances Piper . . . late of North Shore, near Sydney, in the Colony of New South Wales, spinster, deceased, who died at North Shore, in the Colony aforesaid, on the 11th day of April instant . . .
. . . When the polka first became fashionable, it was a little short jog, to "Pop goes the Weasle." Miss Piper, the daughter of Captain Piper, of the Point named after him, first introduced it in Bathurst, where she taught the young officers stationed there . . . Among the distinguished early pioneers, few were better known and none more popular than the subject of this sketch. A typical, genial Scotchman, one of Nature's gentlemen, we are told, "his failings most ly leaned to Virtue's side." Many stories are current illustrating this phase of his character. It is said that he had a band almost constantly engaged at his estate, Alloway Bank, where he entertained his friends right royally, and on Sunday he could be seen driving his Irish jaunting car to church. Prevous to coming to Bathurst, he served as a naval captain in the Colonial service, and during Governor Macquarie's term he held the position of Collector of Customs at Sydney . . . Point Piper, it might be stated, derived its title from this worthy bearer of the name . . . The harsh elements so common to men in his position (at that time) were conspiciously absent in him. Captain Piper died at Bathurst, and his remains were interred in the Presbyterian portion of the Bathurst Cemetery. There he lies oblivious indeed of the passing years, or the tremendous changes that have occurred here under the Southern Cross, since he was laid to rest 60 years ago. His tombstone shows the plain inscription: - "Sacred to the memory of John Piper, Esq., obit June 8th, 1851." A full-sized portrait of Captain John Piper is hung in the Mitchell Library, Sydney. I must not forget to speak of another dear friend of my family, a Captain Piper. He had also sailed in the same fleet with us from England. He had gone to England on the same business with Dr. Harris and from his urbanity of manners he received from the English government the very good appointment of what was called Naval  Officer, or rather Port Officer. He had given him on his arrival a weatherboard house which looked immediately down the harbour, and is the site on which the Mariners Chapel now stands. He brought out with him a very fine horse called "Willington". He was the colour of â€œTattendonâ€�. He used to ride him sometimes but not often. About the year 1819 he began to build a handsome Stone Cottage or rather Pavilion. There were two very beautiful domes, and the banqueting room in the shape of St. Andrew's Cross, was lighted by one, the other dome lighted another room with a fine wide verandah, and French windows. It was a most charming residence. Mrs. MacQuarie named the point of land running into the Harbour "Point Piper". I do not think there has been so hospitable a house, since that was shut up, in Sydney. His Dinner Parties were very agreeable, all the New Free Settlers who had brought orders for Grants of Land, all the Military, Navy, all the Judges. One of the Judges' wives while walking through the grounds, after being most kindly received by the good Host and Hostess said it was too good for New South Wales. My sister and I were greatly offended at this; we thought it was setting a good example to others; it was showing others that had to seek a house what might be made of this far away Country. I will give now the names of one Dinner Party I remember - Colonels Balfour and Bell, Major Ovens, Brigade Major, Commodore Count Bouganville, Captain de Campien, and several Officers of a French Squadron, Dr. Mitchell, Mr. Bannister, Attorney General, and his two Sisters, Major Bishop 40th. Regt., and several Young Ladies, (such a dinner Party.) a Band outside the window, plenty of servants who knew how to wait all in good neat Livery, an excellent well-cooked Dinner, good French Wines, Peaches, Bananas, Apricots, Greengages, Melons, Grapes, - all from his own Garden, with wine Coolers and Finger Glasses with scented Geraniums leaves in them, (the same  kind grow there still.) I wish I could say that I met a Bishop and his wife and Daughters there, but our Bishop lived in Calcutta then, and dear Rev. Mr. Marsden had enough to do in the Bush . . . IT savours strongly of an Irishism to say so, but the chief inhabitants of Bathurst live at some distance from it; many of the wealthy, and also higher class of settlers, having farms and good residences within a few miles, which renders the society superior to that of Colonial settlements in general. Nearly all are situated on the verge of the plains, combining both the flat and hilly country in their surrounding scenery, and their gardens and vineyards, which at the time we were there were slowly recovering their former verdure and luxuriance, seemed morsels of a brighter world, when compared with the arid waste around the township. Among these the pretty and picturesque residence of our good and venerable friend Captain Piper is as much distinguished by its beautiful situation as by the long-proved worth and hospitality of its owner, than whom I heard of no person in New South Wales more universally respected. Hospitality is so general a feature in Australian society, and I remember with so much pleasure the kind attentions which I, as a "stranger in the land," received for my husband's sake, that only a very remarkable preeminence would induce me to break my prescribed rule of abstaining from all personal allusions in these pages.